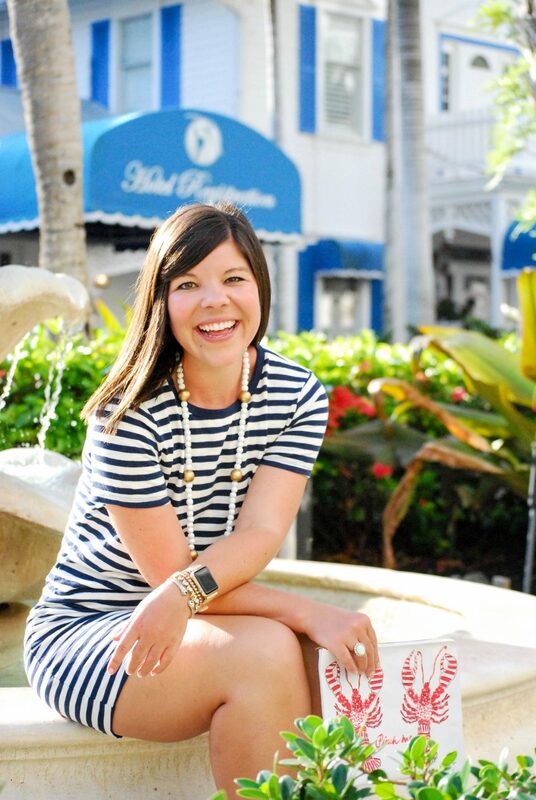 The perfect Old Navy dress that is made for summer to keep you cool & looking chic- all for $10! Guess what y’all?? 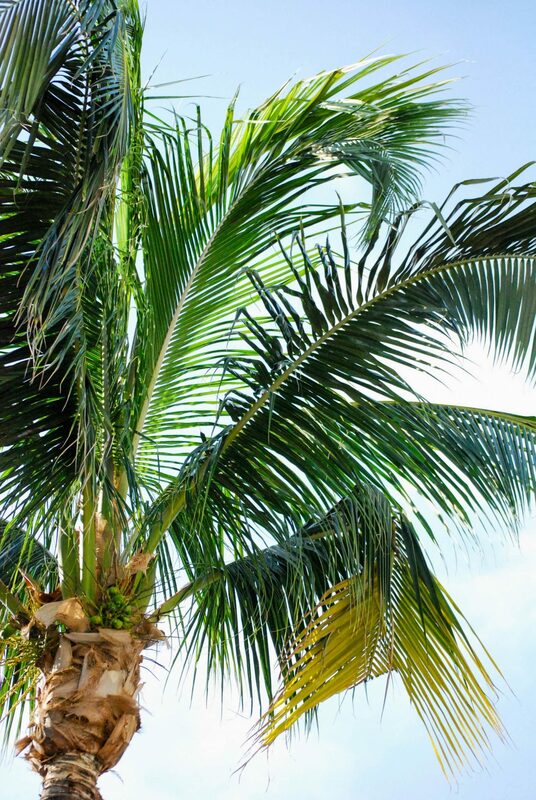 Today you get a sneak peek at the gorgeous Olde Marco Island Inn & Suites where I was lucky enough to spend the weekend this past weekend. 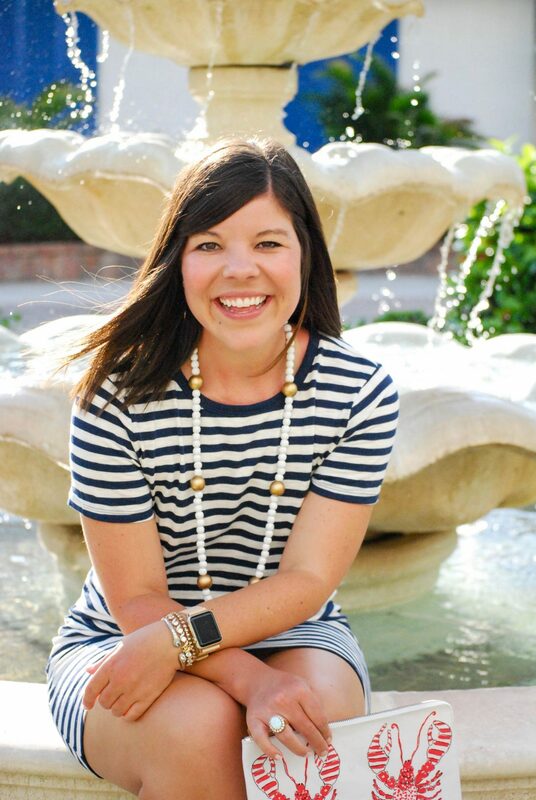 I have a FULL post with details of our stay coming next week, but we shot some really fun content all around the gorgeous property so you are getting to see a little slice of it today! 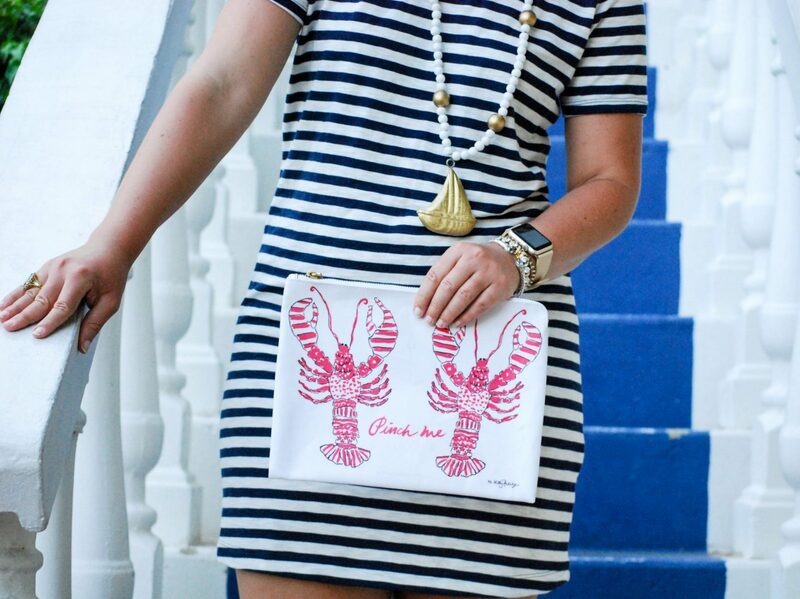 One other note: I always get questions about this cute Lobster clutch. 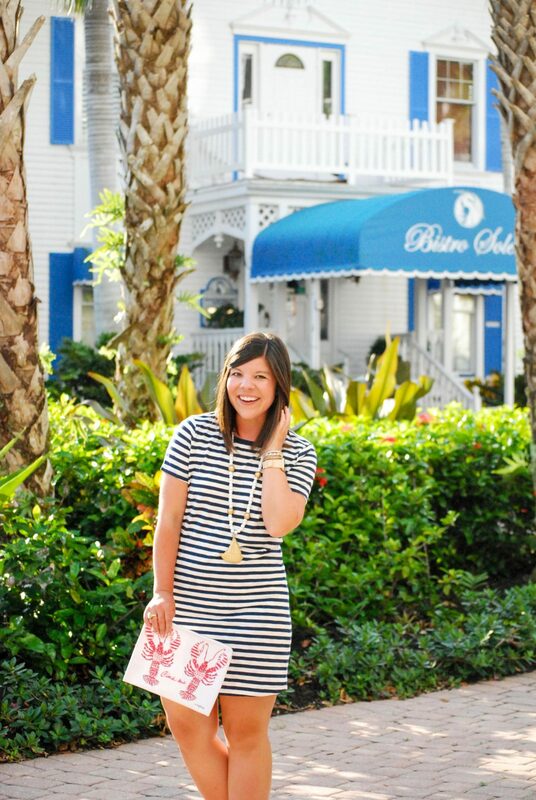 Sadly it is an OLD find from a Lilly Pulitzer after party sale, but I found the sweet alternative clutch here if this is a piece you want to add to your summer collection! Everything about this look is divine! 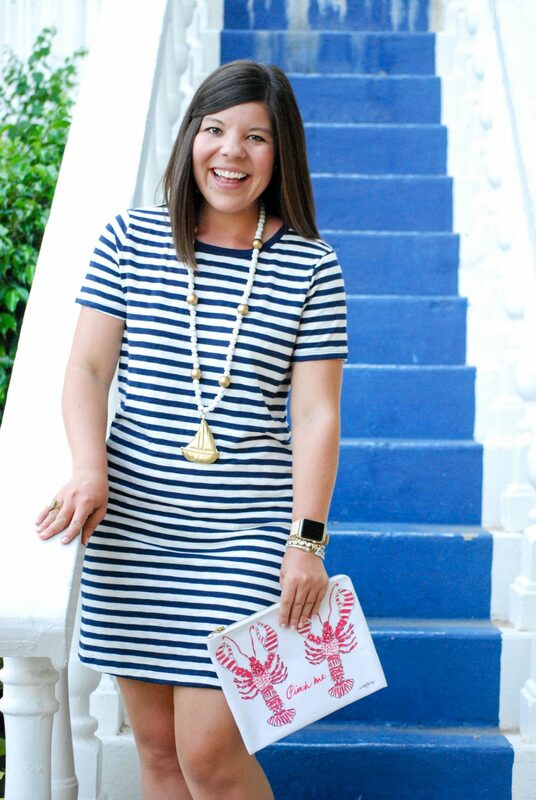 The stripes, your necklace and lobster clutch are just perfect! 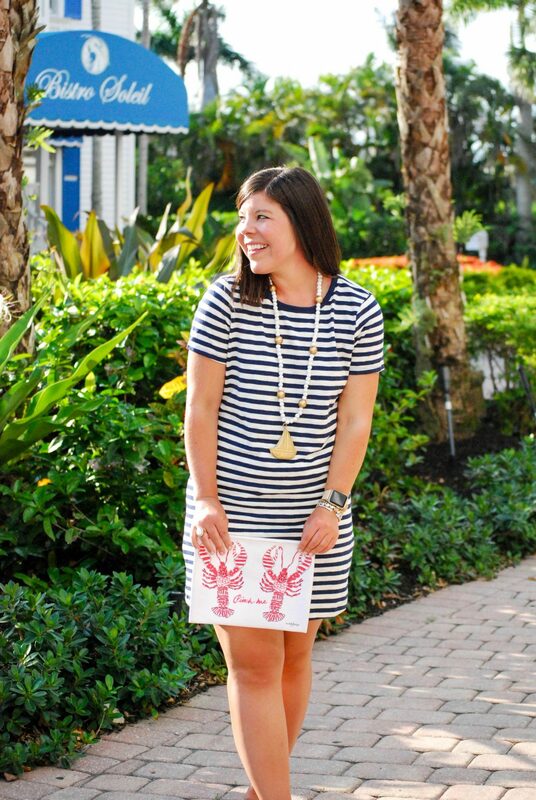 I really love the simplicity of this dress dear, so chic and so comfy and cute! Ok this is the CUTEST dress and you can’t beat the price! 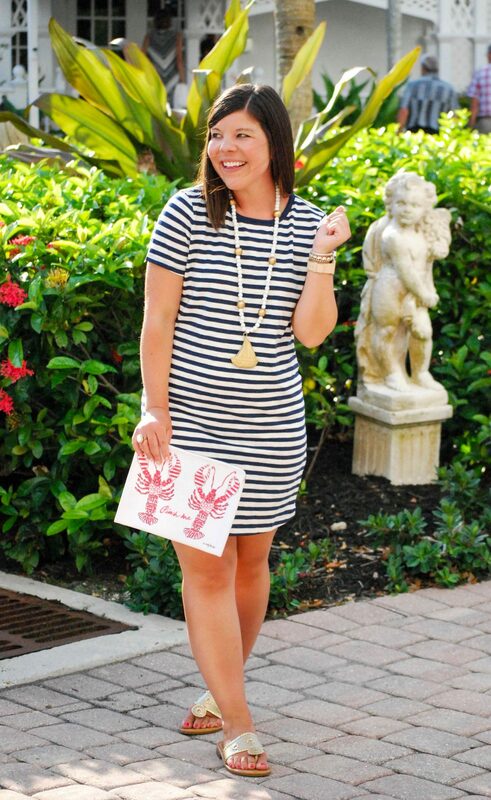 Love that lobster clutch, too! I love this dress! I couldn’t believe the price so I went ahead and ordered it. Can’t wait to wear it 🙂 I also love that ring, it is beautiful! Yay yay yay!! I hope you love it as much as I do 🙂 It’s great!